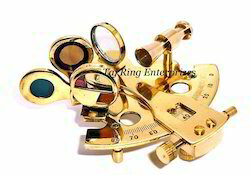 Our specialization lies in the designing and manufacturing of Sextants that are used for measuring the altitude of celestial objects above the horizon Fabricated and polished using pure brass, our range of Full Brass Sextant, Polished Sextant, Marine Brass Sextant, Antique Sextant, Small & Big Sextant is specially used in nautical applications. Engineered to precision, these Sextants are available in the standard sizes and is offered to our clients in various specifications to choose from.We have lot of sextant with Best Prices. This is a beautiful piece of handcrafted to perfection.This nautical sextant in 4 inch.Nautical Mini Sextant With Amazing Finish It is So Beautiful Brass SextantMarine & Maritime Replica Gift All work is hand made.The decorative brass sextant includes an adjustable arc, It is Beautiful Polish Finish Sextant. Marine & Maritime Replica Gift All work is hand made.The decorative brass sextant includes an adjustable arc, This is a beautiful piece of handcrafted to perfection.This nautical sextant in 4 inch.Nautical Mini Sextant With Amazing Finish It is So Beautiful Brass Sextant It is Beautiful Polish Finish Sextant. A sextant is an instrument used to measure the angle between any two visible objects.Its primary use is to determine the angle between acelestial object and the horizon which is known as the altitude. 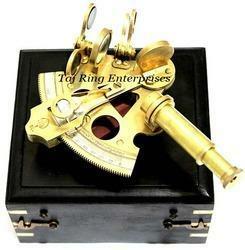 nautical sextant in 4 inch.Nautical Mini Sextant With Amazing Finish It is So Beautiful Brass SextantMarine & Maritime Replica Gift All work is hand made.The decorative brass sextant includes an adjustable arc. 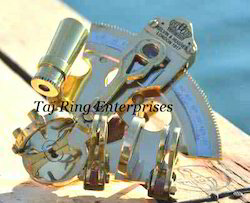 "KELVIN & HUGHES LONDON 1917"
Nautical sextant in 4 inch.Nautical Mini Sextant With Amazing Finish It is So Beautiful Brass SextantMarine & Maritime Replica Gift All work is hand made.The decorative brass sextant includes an adjustable arc. 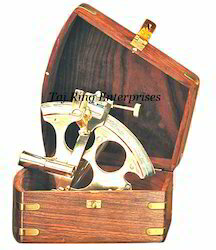 "WHITE STAR LINE R.M.S.TITANIC"..A sextant is an instrument used to measure the angle between any two visible objects.Its primary use is to determine the angle between acelestial object and the horizon which is known as the altitude. 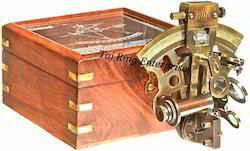 Nautical Brass Marine Sexatnt With Mirror Box Its Awesome and best quality product ...A sextant is an instrument used to measure the angle between any two visible objects.Its primary use is to determine the angle between acelestial object and the horizon which is known as the altitude. nautical sextant in 4 inch.Nautical Mini Sextant With Amazing Finish It is So Beautiful Brass SextantMarine & Maritime Replica Gift All work is hand made..
Nautical sextant in 4 inch.Nautical Mini Sextant With Amazing Finish It is So Beautiful Brass SextantMarine & Maritime Replica Gift All work is hand made.The decorative brass sextant includes an adjustable arc. 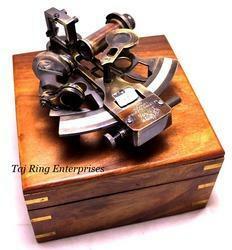 The decorative brass sextant includes an adjustable arc. A sextant is an instrument used to measure the angle between any two visible objects.Its primary use is to determine the angle between acelestial object and the horizon which is known as the altitude. 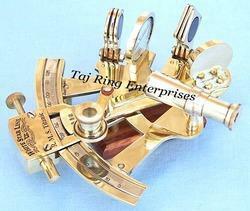 nautical sextant in 4 inch.Nautical Mini Sextant With Amazing Finish It is So Beautiful Brass SextantMarine & Maritime Replica Gift All work is hand made. 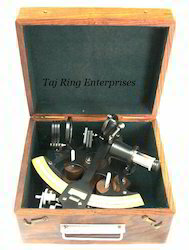 Its Awesome and best quality product ...A sextant is an instrument used to measure the angle between any two visible objects.Its primary use is to determine the angle between acelestial object and the horizon which is known as the altitude. nautical sextant in 4 inch.Nautical Mini Sextant With Amazing Finish It is So Beautiful Brass SextantMarine & Maritime Replica Gift All work is hand made.The decorative brass sextant includes an adjustable arc.Nautical Brass Marine Sexatnt With Box The decorative brass sextant includes an adjustable arc. 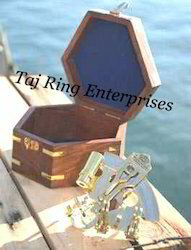 Nautical sextant in 3 inch.Nautical Mini Sextant With Amazing Finish It is So Beautiful Brass Sextant Marine & Maritime Replica Gift All work is hand made.The decorative brass sextant includes an adjustable arc. 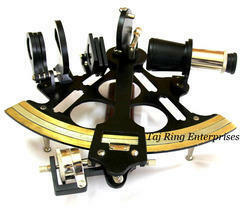 The decorative brass sextant includes an adjustable arc. 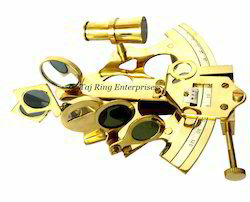 Nautical sextant in 4 inch.Nautical Mini Sextant With Amazing Finish It is So Beautiful Brass Sextant Marine & Maritime Replica Gift All work is hand made.The decorative brass sextant includes an adjustable arc. 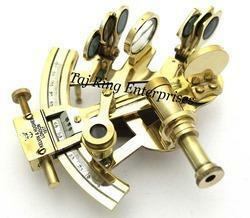 The decorative brass sextant includes an adjustable arc. 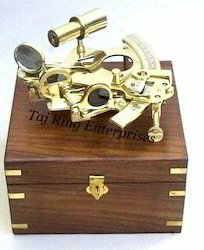 Nautical sextant in 4 inch.Nautical Antique Sextant With Amazing Finish It is So Beautiful Brass Sextant Marine & Maritime Replica Gift All work is hand made.The decorative brass sextant includes an adjustable arc. 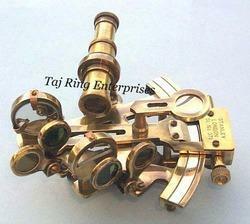 The decorative brass sextant includes an adjustable arc. 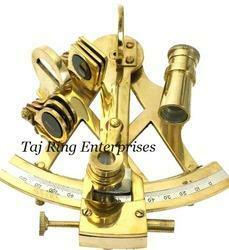 Nautical sextant in 3 inch.Nautical Antique Sextant With Amazing Finish It is So Beautiful Brass Sextant Marine & Maritime Replica Gift All work is hand made.The decorative brass sextant includes an adjustable arc. The decorative brass sextant includes an adjustable arc. Marine & Maritime Replica Gift All work is hand made.The decorative brass sextant includes an adjustable arc, This is a beautiful piece of handcrafted to perfection.This nautical sextant in 8 inch.Nautical Mini Sextant With Amazing Finish It is So Beautiful Brass Sextant It is Beautiful Polish Finish Sextant. Nautical Brass Lamp Stand With Beautiful Awesome Study Lam Stand .